Duke Vin was born Vincent George Forbes in Kingston, Jamaica in 1928. 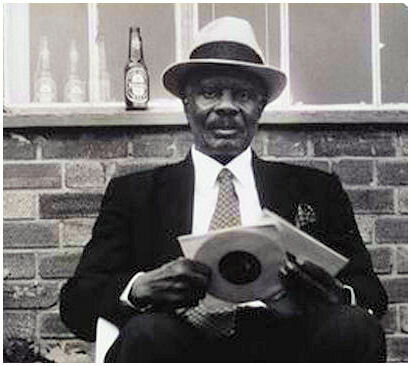 In the early 50's in Jamaica he was to work for the Sound System man Tom The Great Sebastian, selecting records to play (Selector). In 1952 with his friends Wilbert Augustus Campbell (Count Suckle) and Lenny Fry they stowed away on a banana boat leaving Jamaica bound for England. They settled in London's Ladbroke Grove. Duke Vin was to establish the first sound system in the UK. When he came to Britain he was surprised that no sound systems were in operation so he set about building one. He was soon playing at local Blue's Parties around Ladbroke Grove. By day he was an Electrican. He played R&B and later the new fast Ska beat records which he sourced from a local record shop Daddy Peckings (George Price) and from Jamaica. His nickname 'The Tickler' was due to the fact he had an exclusive record he played with the same name. His name spread and he built a larger sound system and began playing at the Marquee Club in Wardour Street, London. Fellow Jamaican Count Suckle soon set up a sound system in the same area, leading to a rivalry between the two and several sound clashes were to follow. The soundman played at clubs all round Britain. After coming out of prison in the late sixties he moved to Harrow Road, London. Was a founder member of the Notting Hill Carnival and performed at nearly every event for nearly 40 years. In his later years he played at Gaz Mayals club St Moritzs in Wardour Street, London. By this time he had amassed a large and rare record collection. He was the subject of a film by director Gus Berger - Duke Vin and the Birth of Ska in 2008. This documented his place as the first pioneer of Jamican Sound Systems in the UK. He passed away on the 3rd November 2012 at the age of 84 years old. He is survived by Vera Dennis, his partner for 55 years, and two sons and three daughters.